A large package of our fresh roasted (ground) Arabica gourmet coffee packaged in a stay-fresh foil bag. Each 8.0 oz. package yields approx. 6 full pots of coffee. Must be ordered in case quantities of 12. Please always confirm production time for this product. Great for complex graphics - prints directly on front, sides & rear of wrapper. Flavors available: Double French Vanilla, Hazelnut and Cinnamon Crumb Cake. Add .65(C) for flavors. Inquire about custom blends such as Cuban blend, Costa Rican blend, Hawaiian blend, French Roast, etc. 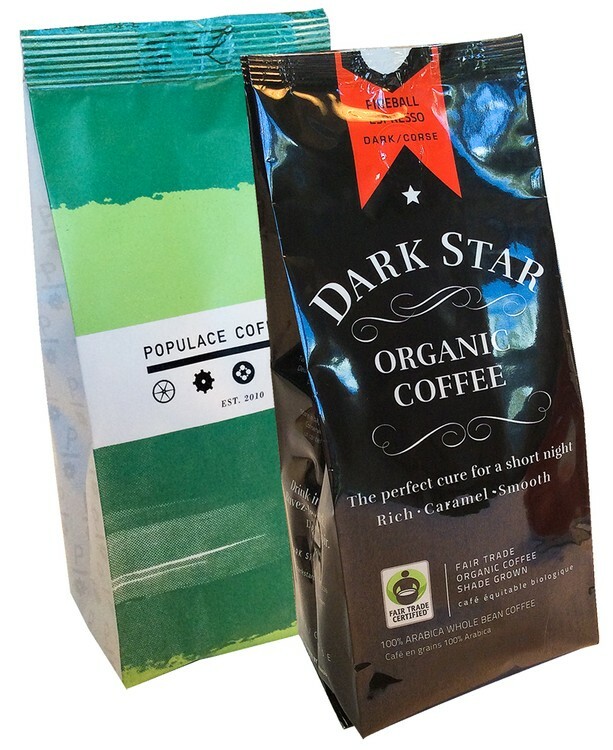 Perfect for logo coffee, coffee pack, corporate gifts, coffee gifts, coffee bag, coffee packet, full pot, coffee gift, coffee packs, coffee pouch, client gift, corporate coffee gifts, product launches, marketing tie-ins. Imprint Area: Download template from "Sales Tools". Prices below include 4CP printing directly on packaging.